Inalsa IBT 01 Beard Trimmer is the perfect beard trimmer that suits all your needs! 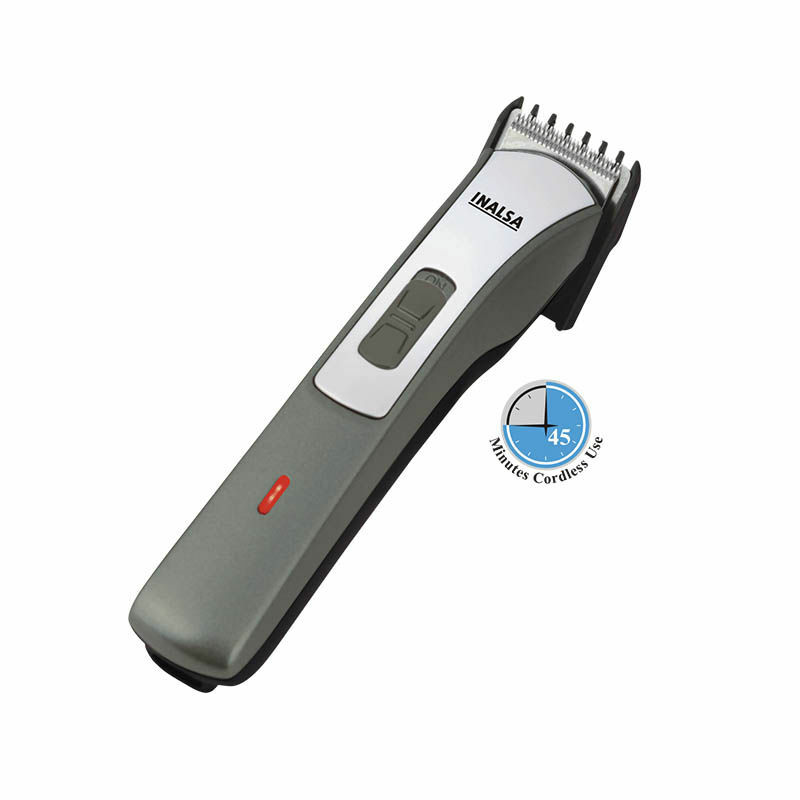 This beard trimmer from Inalsa features unique 5 lengths settings starting from 2 to 10 mm, this trimmer gives 0.8 mm precision trimming. What makes this beard trimmer even more efficient is that it comes with a high performance stainless steel cutting blade. Its rechargeable battery provides around 45 minutes of cordless use. The head of the trimmer is detachable which enables easy cleaning. Guide comb is provided along with the trimmer.